We at ECOCLUB work towards an eco-friendly environment in and around our College and thereby contributing towards saving our planet. The ECOCLUB has been established to provide the values of environmental consciousness and to develop environmental ethics among the students. Eco club meetings held on regular basis and discussed the eco activities to be carried out. 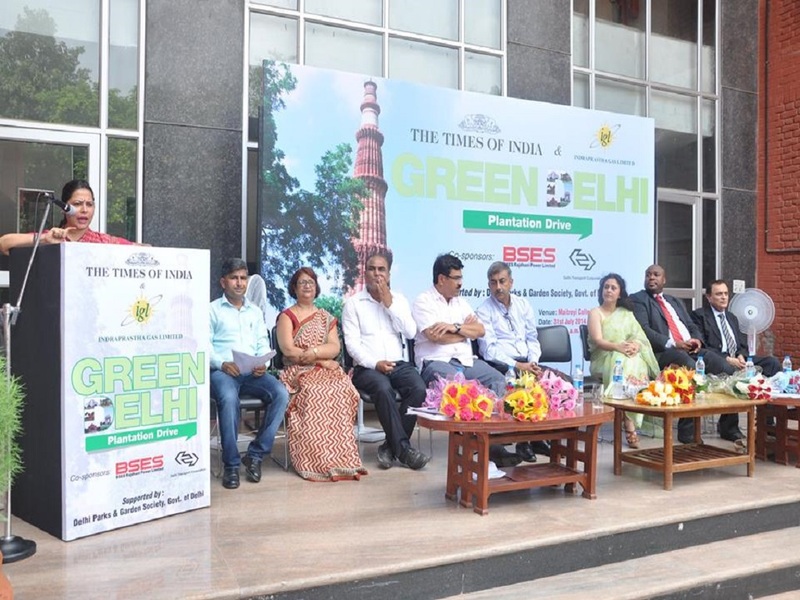 The aim is to create a ‘clean and green consciousness’ among students through various innovative methods. The students participated in a brainstorming debate competition on “Is Climate Change chiefly human caused?” in which students learn about issues related to climate change within a systems framework, examined interconnections among environmental, social, and economic issues. Ms. Chaitali Sinha from B.A (H) Applied Phycology-VI Semester got the first prize and Ms. Arshia Ruina B.Sc (H) Physics-IV Semester got the second prize and Ms. Zuicy Beauty Akoijam B.Sc (H) Botany–II Semester and Ms. Sonam Sanwal B.A (H) Political Science-VI Semester got the third prize. In association with GLASS EYE-THE FILM SOCIETY. The ECOCLUB of Gargi College organized films screening on 'Climate's First Orphans' and 'The Weeping Apple Tree' which is 15 minutes each and followed by an interactive session where students shared their views on the movie. Mr. Nagraj Adve also spoke for about 20 minutes about global warming and climate change. ECOCLUB also organized a poster and slogan competition on “Nature is in crises and there is only one mammal to be blamed” or “Preservation of the Ozone Layer” on 20th September, 2013. Ms. Monisha Das from B.A (H) Applied Phycology-VI Semester got the first prize and Ms. Swathi Hegde B.Com (H)-IV Semester and Zara Khan B.Com (P)-VI Semester got the second prize and Ms. Ridhma Bansal from B.A (H) Economics-II Semester and Lakshita Rawat B.Sc (H) Physics-II Semester got the third prize. To observe the World Plantation Day on 22nd October 2012, under the initiative ‘‘PLANT AND PRESERVE TREES CAMPAIGN”, the Herbal Garden was inaugurated by Dr. Shashi Tyagi, Principal of Gargi College, this was followed by about hundreds distribution of saplings of indoor and outdoor plants at Arts Quadrangle. The event was the huge success. Under the initiative of ‘Solid Waste Management’ ECOCLUB also organized a training and demonstration programme on Paper mache craft on ‘Scrap Paper Recycling’ with Mr. Niyaz Ahmad Bhat, National Awardee, Ministry of Textiles, Government of India. Valedictory session of ECO-CLUB was held on 5th March 2014, where certificates were given to 25 active members of ECO-CLUB for their contribution towards the activities of the club.